Nintendo is about to release a new series of starter packs for three of the top hitters on the Switch: Breath of the Wild, Splatoon 2, and Super Mario Odyssey. That means that in about one month, fans can get their hands on a copy of each game with the corresponding strategy guide alongside it. 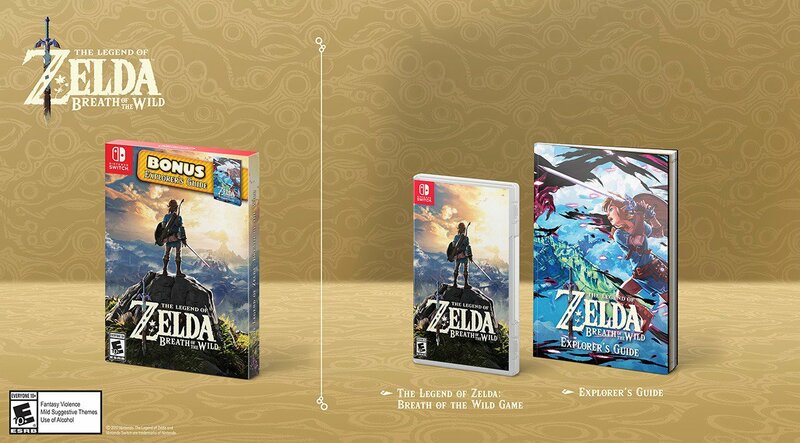 The packs will be available for $59.99 USD each, and considering that this is the retail prices for the games themselves, that means customers will essentially be getting the guides free of charge (neat!). The scheduled date for release is September 28th though, so shipping will begin at that date. Also keep in mind that these packs are only available in North America. You can find the packs on Amazon, or by checking the links below. Whether you haven’t tried these games yet, or even just now joining the party with a new Switch, this is a cool way to start your journey. What do you think of this news? Will you be grabbing yourself a Nintendo Switch starter pack for Breath of the Wild? Let us know in the comments below!